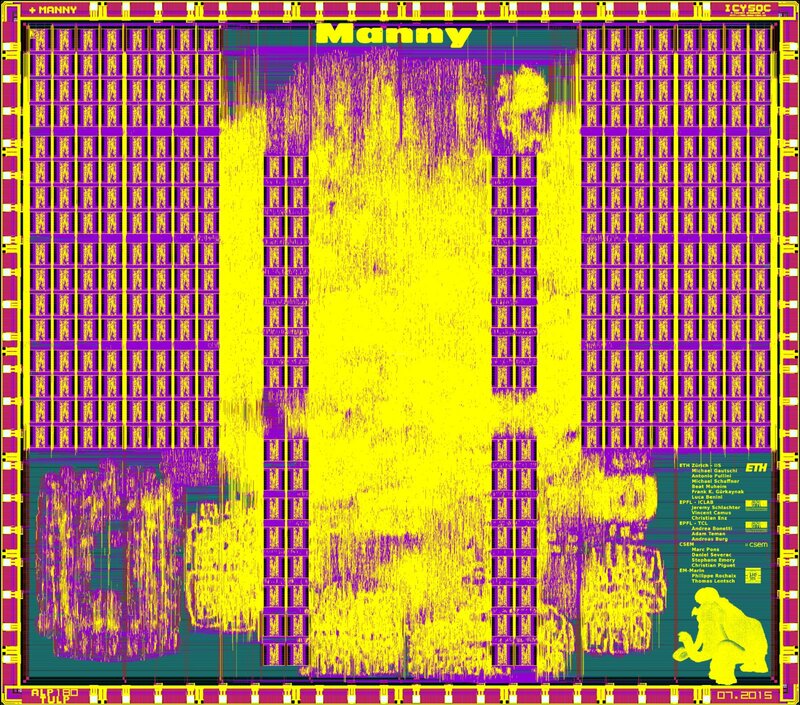 Manny is one of three chips manufactured using the 180nm technology of EM Microelectronic, making it a completely Swiss project. 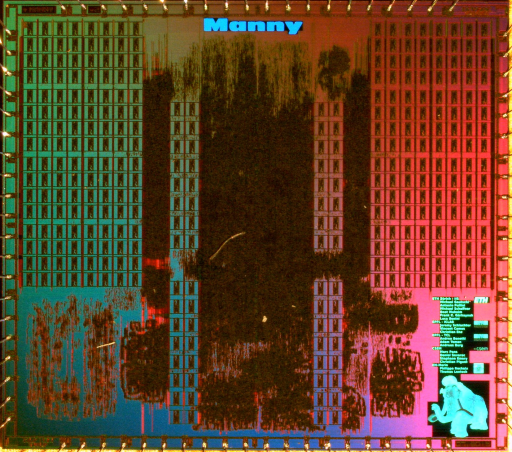 These chips were designed as part of the Nano-Tera project IcySoC. in order to achieve the lowest possible energy consumption. The base of the system is a PULP system with four cores, 64 kByte of L2 memory, 16 kBytes of TCDM and 4 kBytes of shared instruction cache. This system is then augmented by a shred approximate single precision floating point unit that has a worst case error of 8 ULPs. In addition there is a generic hardware accelerator interface that allows in-exact accelerators to be connected to the main system. In this chip there are two generic FIR filters that have their computational rounds optimized using pruning and speculation. This version uses a special subthreshold standard cell library and memory macros designed to operate at 0.6V.